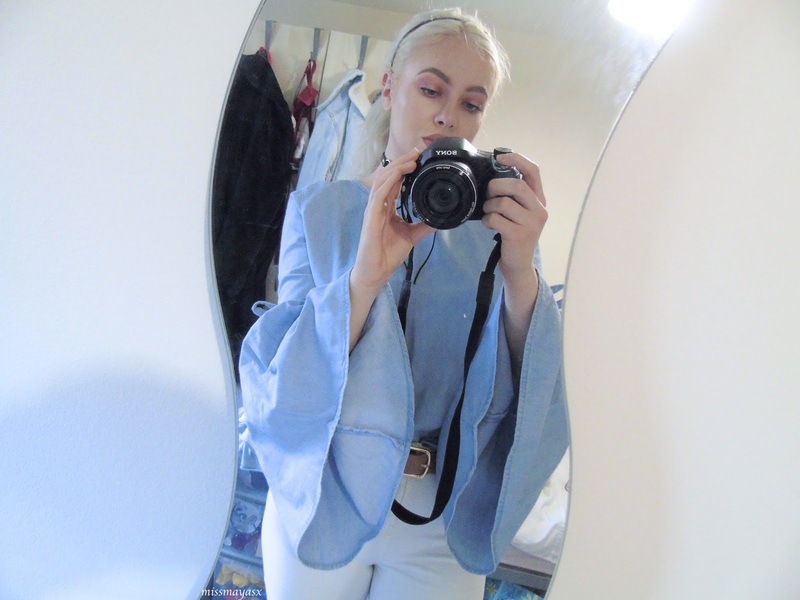 Ever since I laid my eyes on this Primark Bell Sleeved Top (Similar here, here, and here), I knew it was love at first sight - I just HAD to buy it. This top was only £10... Erm, excuse me but can we just appreciate that it so affordable and looks like it could be from River Island or Topshop?? Is it weird that I dressed up just to go shopping on my own? Sorry, but if I'm going to spend money on clothes I have to wear them out even if I look extra :') I own a few bell-sleeved tops now which I started collecting last year as I think they're so flattering and make every outfit look extra special. 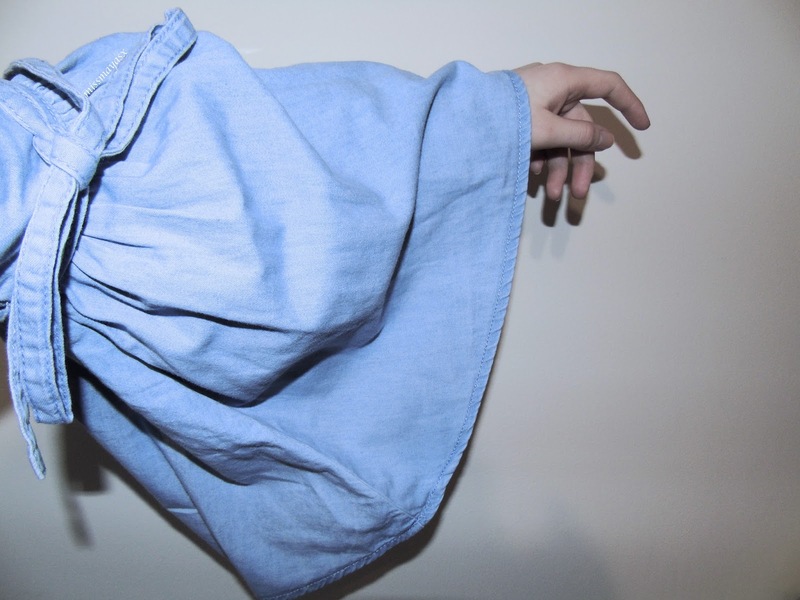 I mean, I matched this shirt with a pair of white ripped Jamie jeans, a big buckle belt and heeled mules, and this is something you can wear to an event, shopping, drinks etc. - ANYWHERE. I've been lusting over big Western style buckle belts but couldn't find one within my budget so I settled for this gorgeous but simple buckle belt for £2, also from Primark (of course). 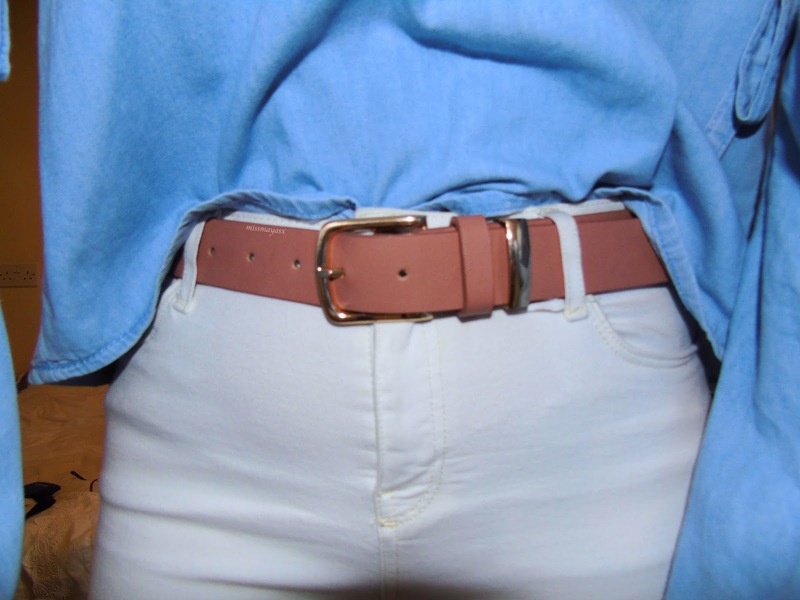 I bought this belt in this dusky pink shade, as well as a deep mahogany brown which looks beautiful with my Mom Jeans. On the other hand, my halo eye makeup was created using the Jeffree Star Beauty Killer Palette. I absolutely love this eyeshadow palette as the amount of different looks you can create is infinite! 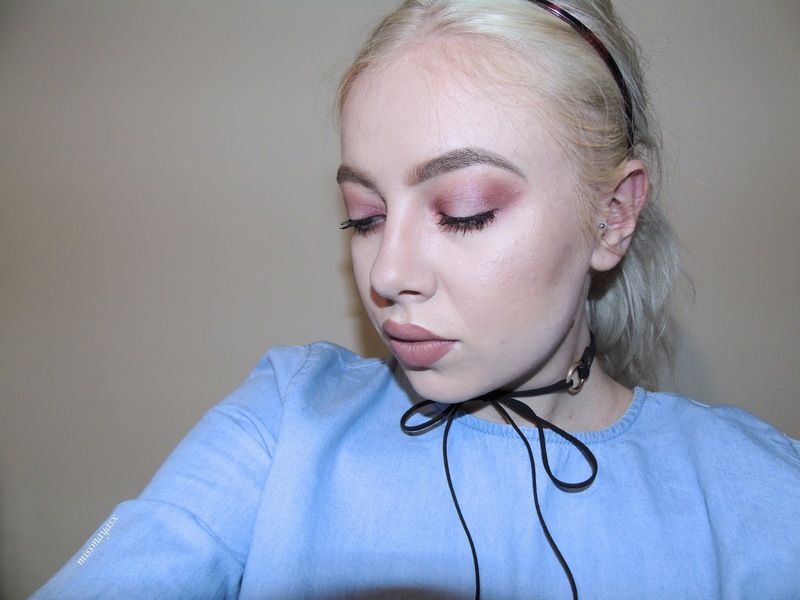 I used the shade 'Courtney' as a base shadow and added some more in my crease for extra definition. I then went ahead and blended out the shade 'Confession' in my crease and inner corner, followed by 'Violence' for extra depth. Then, finally, I used my favourite shade from the palette called 'Princess' and put it on the centre of my lid for the halo effect. - If you're wondering what brushes I used to create this eye look then click here. And that's it! The whole eye look is complete and it only took about 8 minutes to create! I've been loving dark pink and purple shades recently so that's practically all I've been wearing the past few weeks! Have you got a favourite outfit that you can't get enough of? What about a eyeshadow look if you were makeup?